The search for the perfect roast is over. 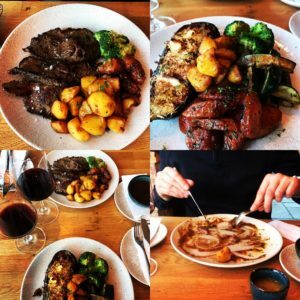 Brand new to the Chiringuito menu; the Sunday roast. Every Sunday from 3 pm, you can enjoy a choice of tender roast beef, succulent pork, delicious chicken or juicy aubergine. Served with rosemary patatas bravas and honey roast vegetables. Sign up to stay up to date with our news, events, offers and more.